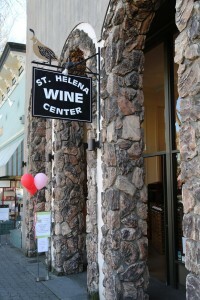 St. Helena Wine Center is located on Main Street in the heart of downtown St. Helena. 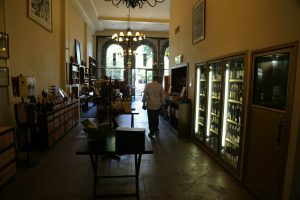 This wine shop and tasting area was often confused with Helena Wine Merchants which used to be located in the south part of St. Helena. 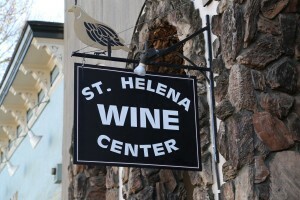 However St. Helena Wine Merchants closed many years ago. 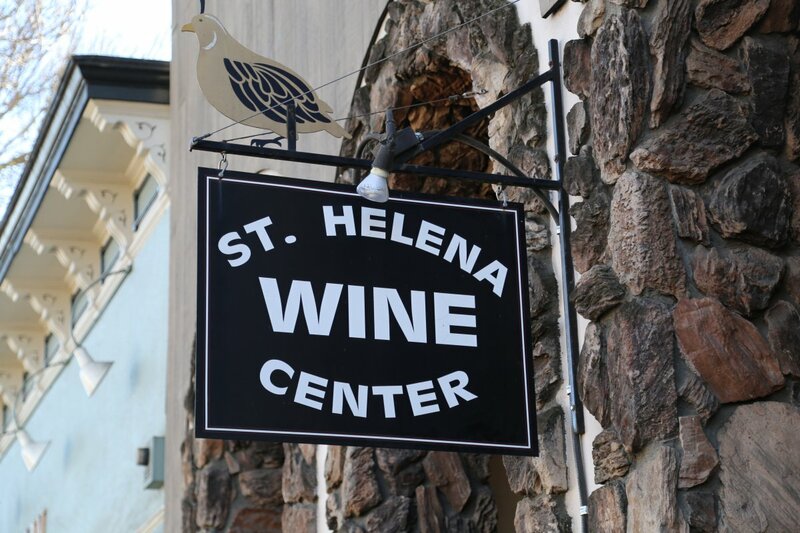 Compared to other Napa Valley towns St. Helena has limited the amount of tasting rooms within its downtown corridor. 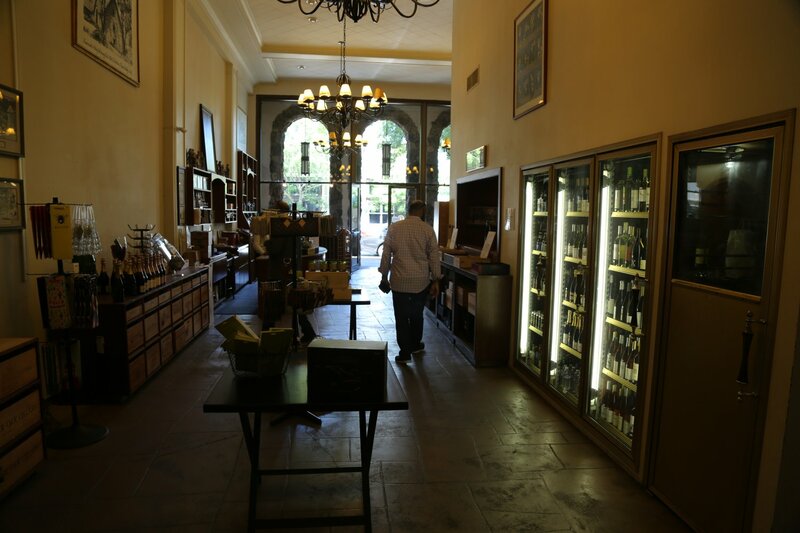 There are currently only several tasting rooms downtown – this is the oldest one. In a town lacking in tasting rooms, the diversity of shops more then makes up for the small number of wine tasting experiences – one is more likely to find boutique shops, clothing, antique and art galleries located on both sides of the street. 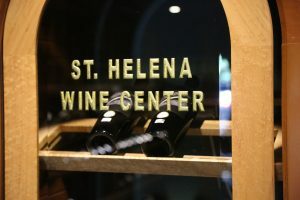 Visitors are often surprised that St. Helena Wine Center is owned by the Beringer family (the same family that sold their iconic winery in 1971 to Nestlé Corporation). 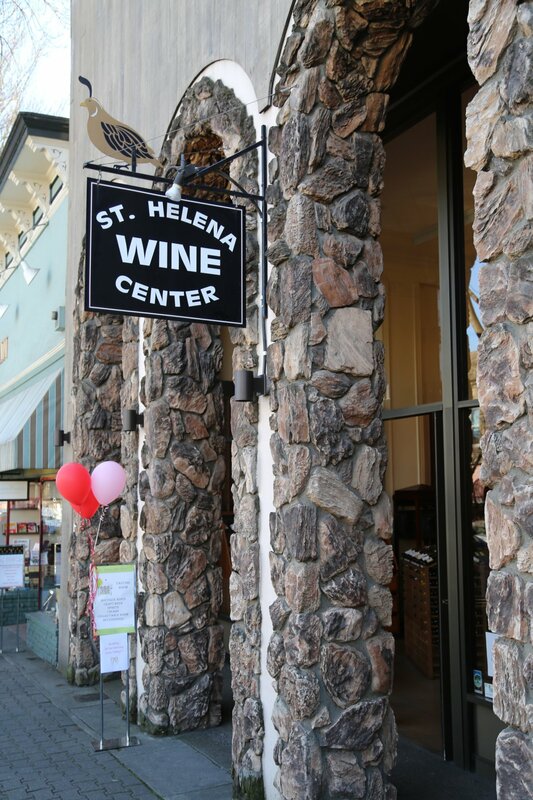 An existing wine shop called The Bottle Shop was purchased by Fred and Cathy Beringer in 1972 – they renamed it to St. Helena Wine Center in 1992. 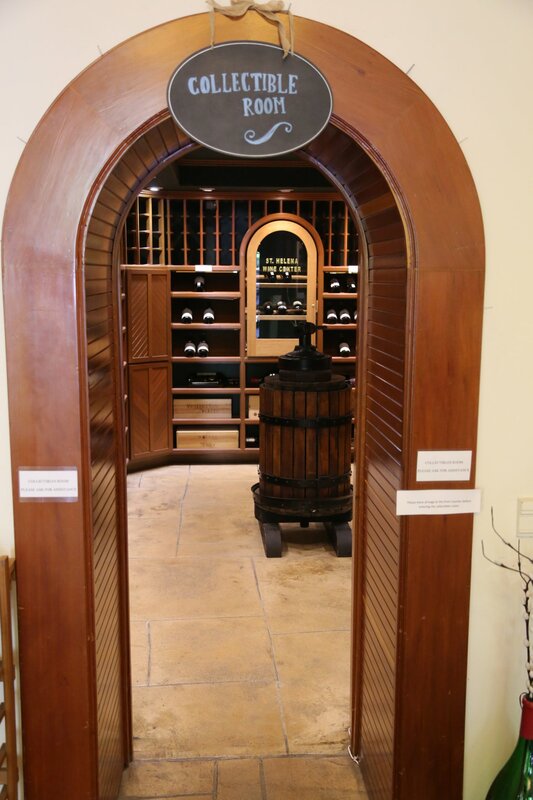 Today the store is owned and operated by their daughter Judi Beringer Jimenez and her daughter, Jessica Jimenez Smith (5th and 6th generation Beringers respectively). Incidentally Judi’s brother Mark Beringer is currently the winemaker at Beringer Vineyards despite their family no longer owning that winery. 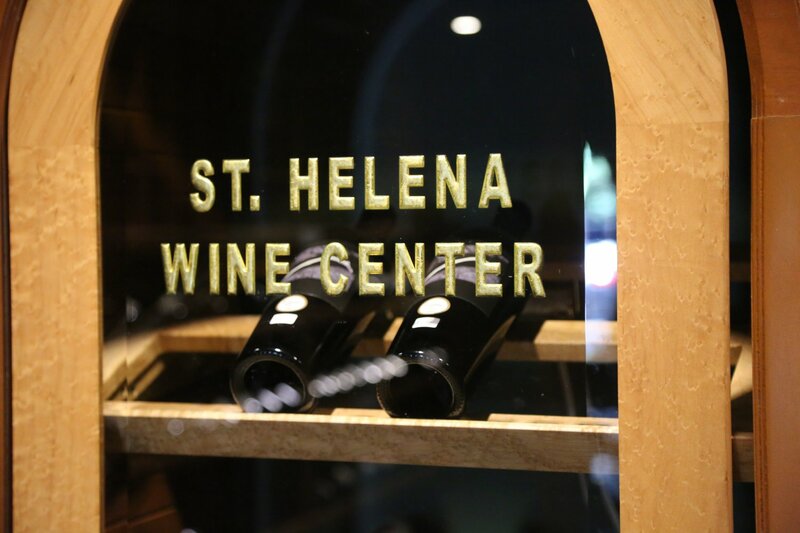 St. Helena Wine Center is open daily selling wine and wine related gifts from Napa Valley wineries as well as from other California and sometimes international wineries. 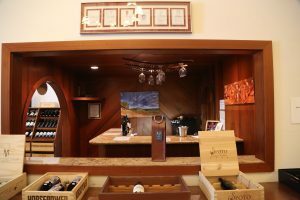 As of our latest update to this review, they maintain a tasting counter; this tasting space used to be open only on Saturdays but as of our latest update it is open for tastings 7 days a week. 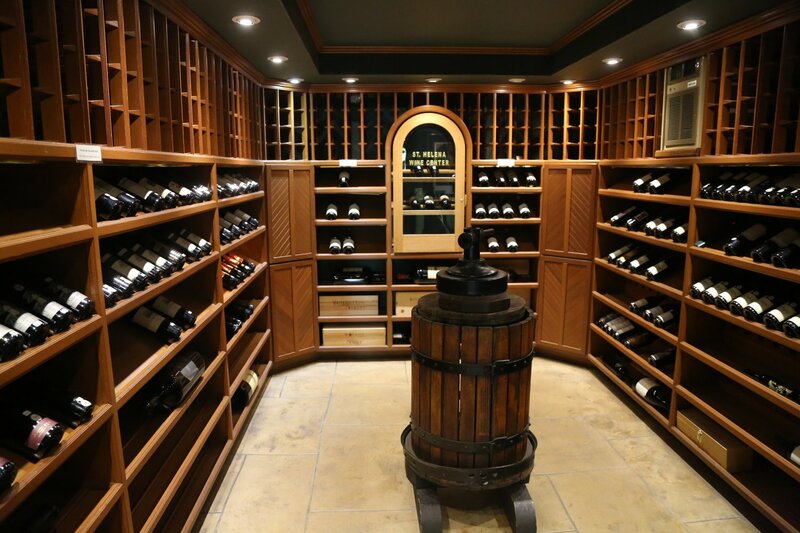 The size of this shop used to be larger – but they sold off a part of the space and have since built a wall between their neighbor, Orin Swift Cellars tasting room. 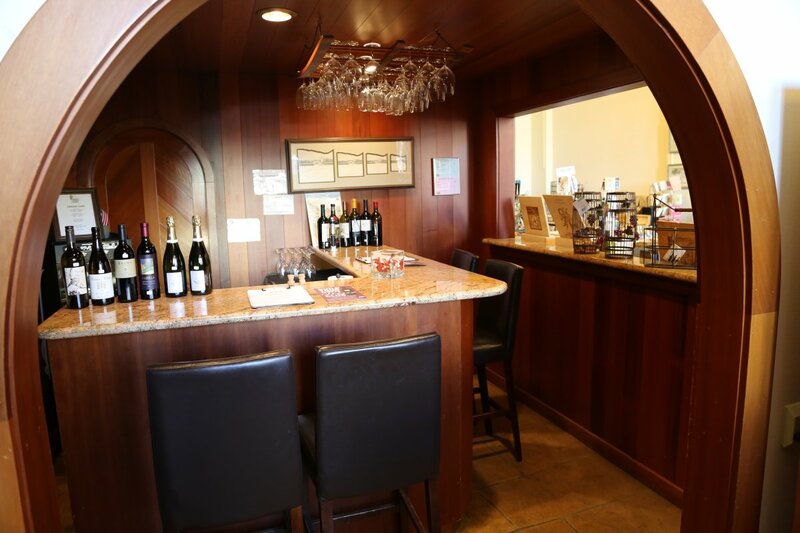 Their small tasting room is a side alcove to the left as you enter the main store. Tastings can be really feature most anything. 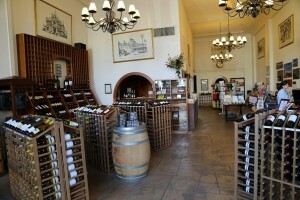 They see what they have available on any given Saturday and typically will provide 3 to 4 tastings. They have a strong collection of Napa and other California wines as well as a side room for the “locals” which contains only wine from international wineries. 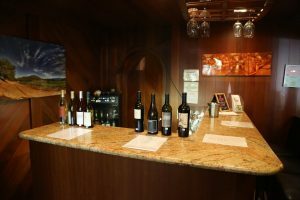 Yes, even Napa residents who are surrounded by top notch wineries want an international selection! 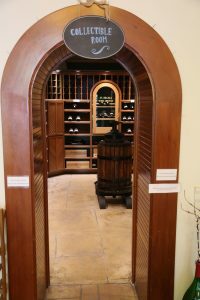 Their very extensive collection of wine is mostly from small premium vintners with a wide range in price from thirty dollars all the way up to several hundred dollars+ per bottle. A Napa “cult winery” box for sale contains very high end wines including Harlan Estate and Screaming Eagle. 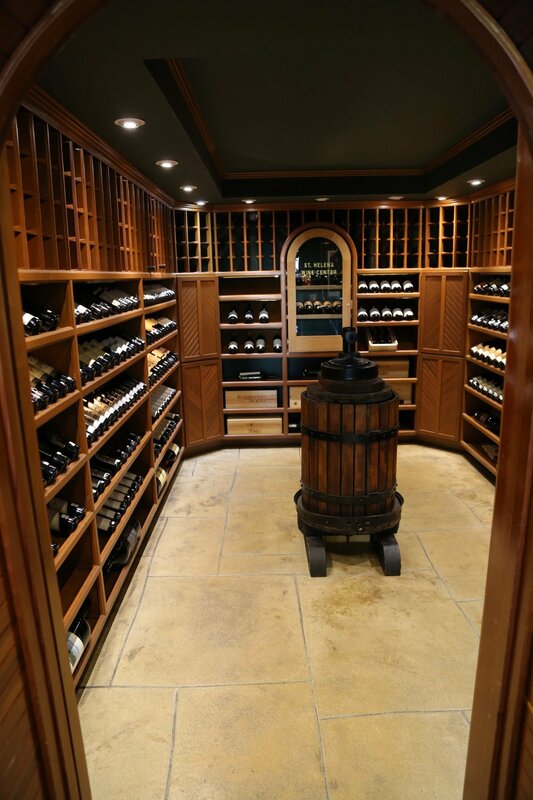 Often older vintages of well-known Napa producers will be available – the oldest wine we have seen for sale in the shop was from 1968. And those looking to add to their Bordeaux First Growth collection can certainly do so here. A very limited selection of cold beer is also available. 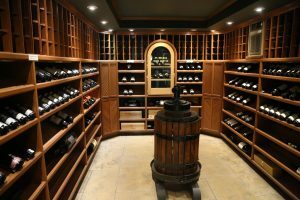 Unlike many wine shops, they taste all the wine they sell which allows them to selectively choose the bottles that appear on the shelves. One of their buyers boasts of “having tasted more bad wine than almost anyone, so you don’t have to.” We can assertively point out that he is not describing wines from Napa! 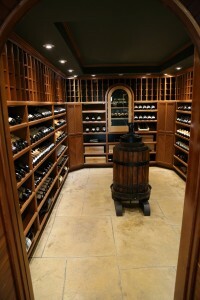 They have a mailing list as well as a wine club which contains many monthly shipment options. The nice thing about their wine club is *you* get to choose, IE the type of wines, how many bottles per time period, price limits etc. NOTE: this review has been identified as needing a **MAJOR** update! The hours have always been listed above under the “quick info” section.